Peaceful views of Durban with hands on service by the owners. "Come stay with us" is the translation of Hamba Nathi. Hamba Nathi Lodge is Centrally situated in the exclusive Kwa-Zulu Natal coastal suburb, Durban North on the East Coast of South Africa. We offer wide, open verandas with breath taking views and spacious double and twin en-suite, air-conditioned rooms. All rooms include a complimentary tea and coffee tray. A fully equipped and peacefully decorated self catering cottage awaits our business travelers, tourists and holiday guests. This self catering cottage offers you a home away from home. Find yourself relaxing in our Guest Lounge and watch DSTV, knowing that your car is secure with our off the road parking behind secure gates and armed response on call. Have pleasure in lazing about the clear salt-water pool and be personally served by the owners. Light breakfast, lunches and dinners are personally prepared for you to enjoy and no request for something delicious is too big or small. Ensuring our guest a safe ride (after an evening out or to the airport) in our Zero Tolerance Province, we offer transport services on request. A laundry service is also available on request. 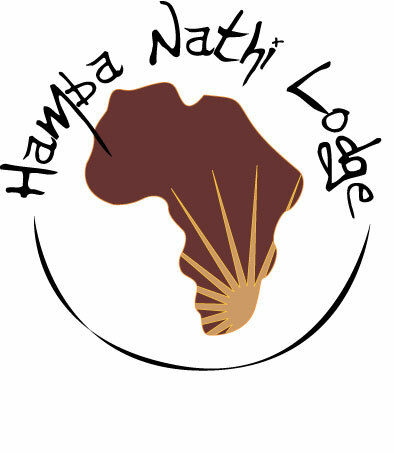 Hamba Nathi Lodge is a short jump to Umhlanga Ridge, South Africas premier business, residential and entertainment node and only a few minutes away from the Durban CBD and 10 minutes from the International Conference Center. Also nearby, are Durbans best shopping destinations, the Gateway Shopping mall, the exclusive La Lucia Mall, the Workshop and the Pavilion Shopping Center in Westville, all offering local banks, shops, cinemas and restaurants. There are other attractions in the area including, Golf Courses, Sport Stadiums and Casinos, such as Beachwood Country Club, Durban Country Club, Royal Durban Golf Club, Windsor Park Golf Course Kingsmead Cricket Ground, ABSA Stadium The Home of the Sharks, Grayville Race Course, Botanic Gardens, Umgeni Bird Park, the Sun Coast Casino and the Sibaya Casino. Executive suit Single: ZAR650 Sharing: ZAR500 A separate open plan bedroom can be fitted with either twin beds or a double, with a shower main en suite with walk-in closet and built in cupboards. Deluxe Suit Single: ZAR550 Sharing: ZAR400 The Deluxe Suite has a Jacuzzi bath en suit with stunning views over looking Durban and its beaches. This room entails two double beds and leads onto a balcony where you can relax and enjoy the panoramic view. DSTV aswell as a walk-in closet is available in this room. Luxury Suit Single: ZAR450 Sharing: ZAR300 The Luxury Suite comes with either twin beds or a double on request to suit your needs. The room has an opening to a private balcony set with panoramic views. The suite has a built in cupboard walking into an en suite bathroom with a private, open-air shower. Superior Suit	Single: ZAR400 Sharing: ZAR250 The Superior Suite can accomodate twin beds or a double. The room opens to a private balcony set with panoramic views. The Suite has a built in cupboard walking through into an en suite bathroom. Group bookings have a reduced rate.